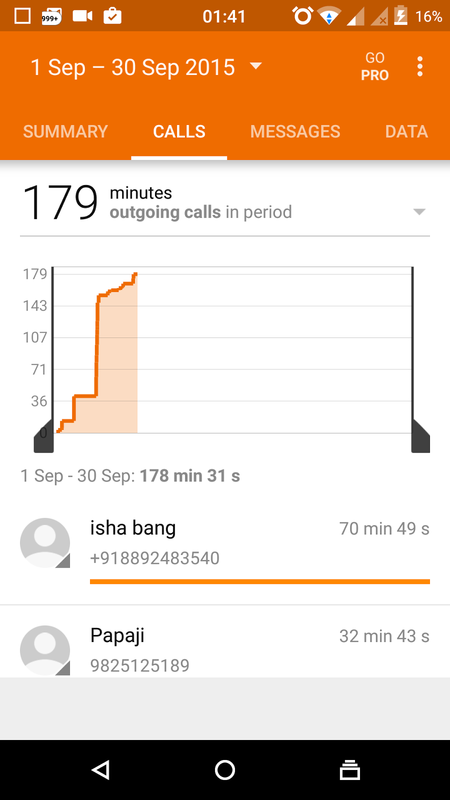 This is one of the best mobile application to get the call statical data. 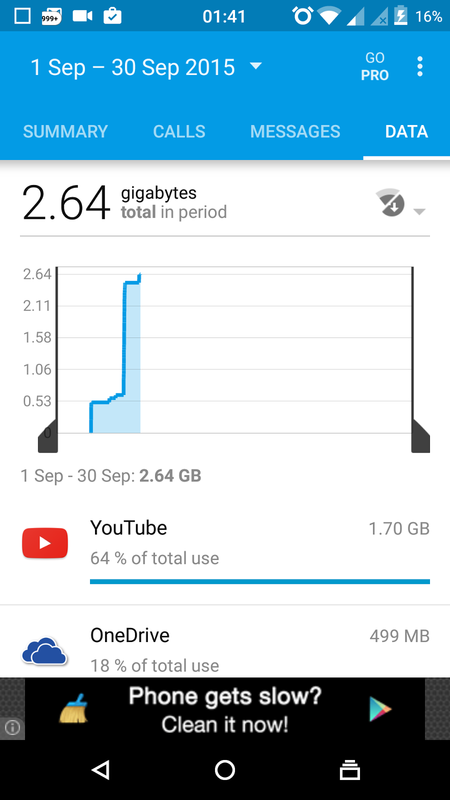 It will allow you to get call statistics for the call, SMS, and Internet Data usage. 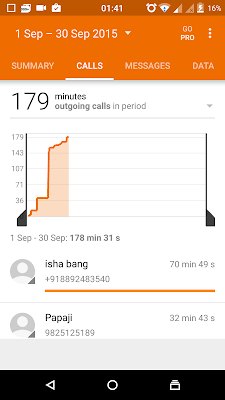 You can see the statistical data for incoming and outgoing calls. You can set the Billing cycle start and end date to predict the monthly bill. Set the threshold to get the alert for SMS, CALL and Internet Data. Measurement can be done for the number of minutes, you can call to different persons. Analysis can be done for Week, Day or month. Monthly call duration / Weekly Call duration / Daily Call duration. Monthly SMS / Weekly SMS / Daily SMS. Call / SMS statistics for the mobile phone is not available. I have historical data but can not generate analyze it. Generally people will not bother about the bills as there is the list of numbers and duration of the call is mentioned in the bills rather than the name of the person. 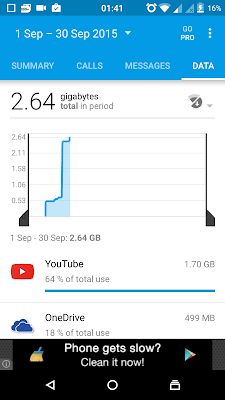 This measurement is valid only if it give various statistics to the user. Statistics could be STD vs Local usage in terms of minute and number of calls. Highest total call duration with the person for the particular month. To achieve this simple mechanism is required, as the bill is already available in either pdf or word format. Now software is required to convert this numbers with names available in the mobile phone. The so simple application can do such functionality. This gives a user the better understanding of his/her usage. There could many other statistics which can be customized by a user as well. So the user can choose the available option and graph format to print the statistics. 3. What is the existing solution? There is no mechanism available to replace the number with names. Hard copy and soft copy of the bills will be available for the user. 4. Why should we invest in it? Uber is now accepting cash payment in India.